Leila De Lima scandal video in Sandra Cam's possession? Home / news / video scandal / Leila De Lima scandal video in Sandra Cam's possession? 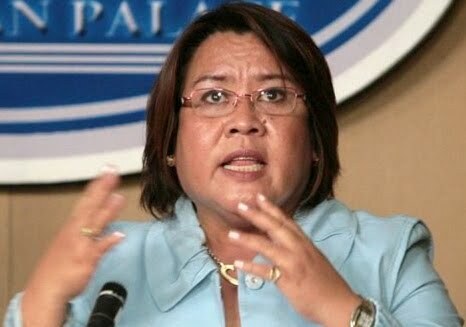 Justice secretary Leila de Lima has scandalous videos, according to Whistleblowers Association of the Philippines president Sandra Cam. Various reports say that cam is in possession of four clips, which she obtained from unknown sources, showing the government official having intimate moments with her driver and bodyguard, who are both married. The whistleblower reportedly encouraged De Lima to file a case against her for libel so she can "have the chance to bring the truth to court," but the DOJ chief said she won't waste her time for Cam. According to relative articles published over the weekend, Cam warned that she will release the scandalous videos if the Commission on Appointments confirms De Lima's appointment. Malacañang described the allegation as "foul" and "below the belt." A member of the CA asked Cam to provide copies of the videos "in the spirit of transparency and accountability." If the scandal video of Leila de Lima doesn't exist, Sandra Cam will likely suffer some legal consequences, reports said.